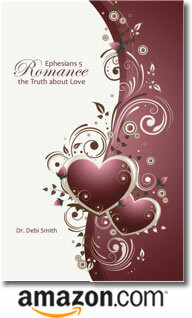 Posted by occhristiancounseling in Dr. Debi Smith, stonewalling, understanding men. A lifetime of experience impacts the way a man communicates. But we women often don’t understand a man’s silence. So the Man Cave feels like stonewalling at best – and abandonment at worst. But the Man Cave isn’t stonewalling at all. Unless a woman tries to force her way though. Then she’s got Double Trouble. Simply knowing that her man is struggling is not enough, because that only serves to trigger a woman’s natural desire to reach out and encourage him … to get him to talk to her … to try to convince him that she is his Safe Haven. Her efforts to connect will feel like an invasion to him … and/or add to his sense of guilt and shame that he hasn’t got a solution. Both of which will result in an immediate increase in his defensiveness – usually by strengthening his wall. And being shut out makes her more anxious … worried about him … and about herself. It feels like the Beginning of the End to her, and she often doesn’t understand why. Do you know why men stonewall? Believe it or not, the initial purpose of the stonewall has nothing to do with hurting you. That’s not the purpose of the Man Cave either. Most women find it helpful to know the difference. Send me your questions and comments now. And I’ll send you a personal reply!